Every time you feel the need for an energy-restoring massage, after your bath or shower, or simply whenever you need a beneficial, relaxing pause, this rich, silk-like, yet fast-absorbing, Oil is the perfect solution. 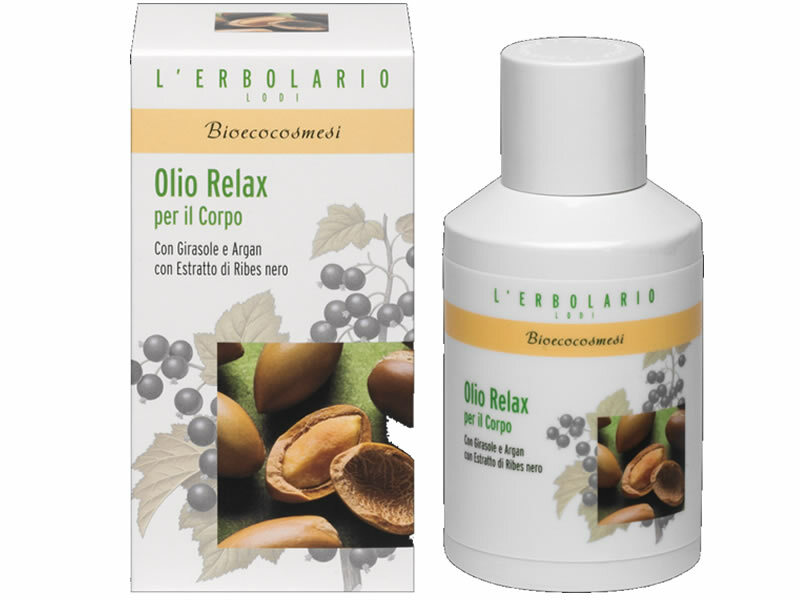 Among the many organic ingredients that work in harmonious synergy, this product contains a complex of Oils (Sunflower, Argan, Almond, Sesame, Jojoba, Olive) combined with Extract of Blackcurrant, to provide a replenishing and protective action, to help stimulate cell renewal, to neutralise free radicals and to reintegrate the skin’s natural hydrolipidic film. Plus, the rich aromatic scent of essential oils helps restore your spirit to a peaceful balance. Enjoy renewing this pleasant ritual after bathing or showering, and any time the well-being of your skin needs it. Spread onto completely dry skin with small touches, and gently massage. Functional substances Organic Sweet Almond Oil, Organic Sesame Oil, Organic Jojoba Oil, Organic Sunflower Oil, Organic Argan Oil, Organic Olive Oil, Extract of Blackcurrant seeds, Organic Vitamin E from Soybean, Unsaponifiable Fraction of Olive Oil, Perfumed note rich in essential oils of Coriander, Jasmine, Petitgrain, Neroli, Sweet Orange, Bitter Orange. Helianthus annuus Seed Oil*, Olea europaea Oil Unsaponifiables, Argania spinosa Oil*, Olea europaea Oil*, Prunus amygdalus dulcis Oil*, Sesamum indicum Oil*, Simmondsia chinensis Oil*, Ribes nigrum Fruit Extract*, Citrus aurantium Leaf Oil*, Citrus sinensis Peel Oil*, Coriandrum sativum Oil*, Brassica campestris oleifera Oil, Rosmarinus officinalis Extract, Tocopherol, Parfum, Citral, Geraniol, Isoeugenol, Limonene, Linalool.